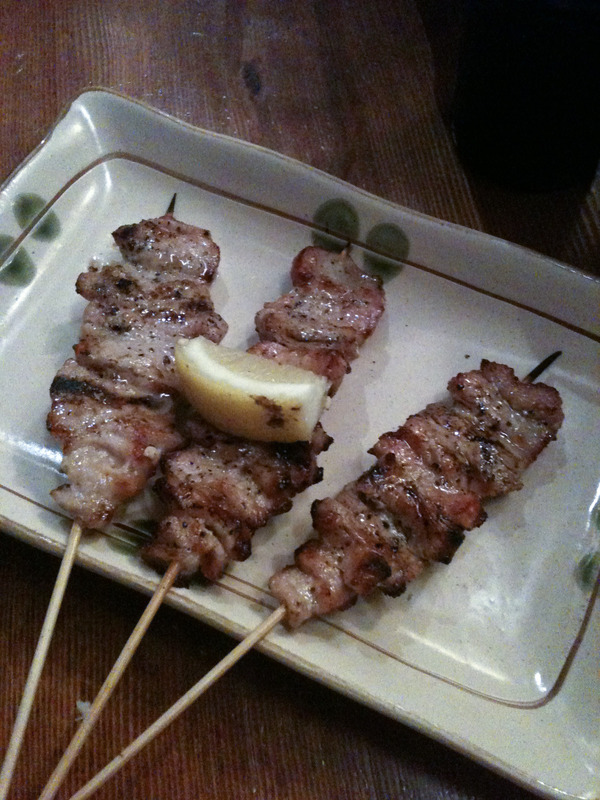 Zakkushi = Skewers of meats = Deliciousness! My summer rec hockey team suffered another loss tonight. I needed to drown my sorrows by stuffing my face full of tasty treats. We were able to score a last-minute reservation at the always busy Zakkushi and it wasn’t hard to convince my brother to come along with us. There are 3 Zakkushi’s in Vancouver, and I’m lucky enough to have one in my neighbourhood. That’s what an izakaya, (Japanese drinking establishment that serves small bites; in Vancouver izakaya’s focus around the food than the drink) should be, a neighbourhood haunt, which is what Zakkushi has become for me. 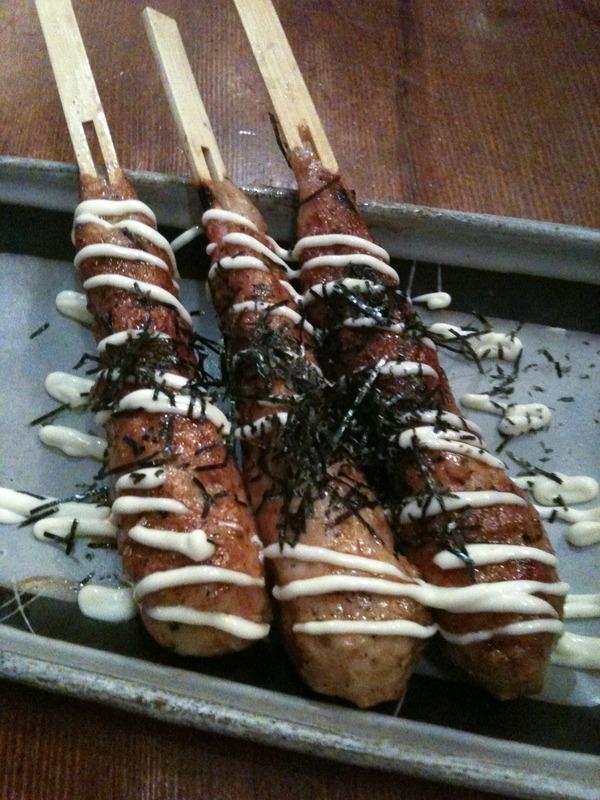 While Kingyo is still my favorite all around izakaya, Zakkushi has definitely stolen my heart on the yakitori (chicken grilled over charcoal)/kushiyaki (everything else grilled over charcoal) front. Since we just wanted to get in, we said we’d take a seat at the bar. Probably a good thing, since there was more light there to take photos which I knew was going to be a challenge since I only had my phone with me. It turned out to be a bad thing though, because we got horrible service. Granted it was a busy Saturday night, but we had to work hard to hunt down our servers and the food came out slowly. 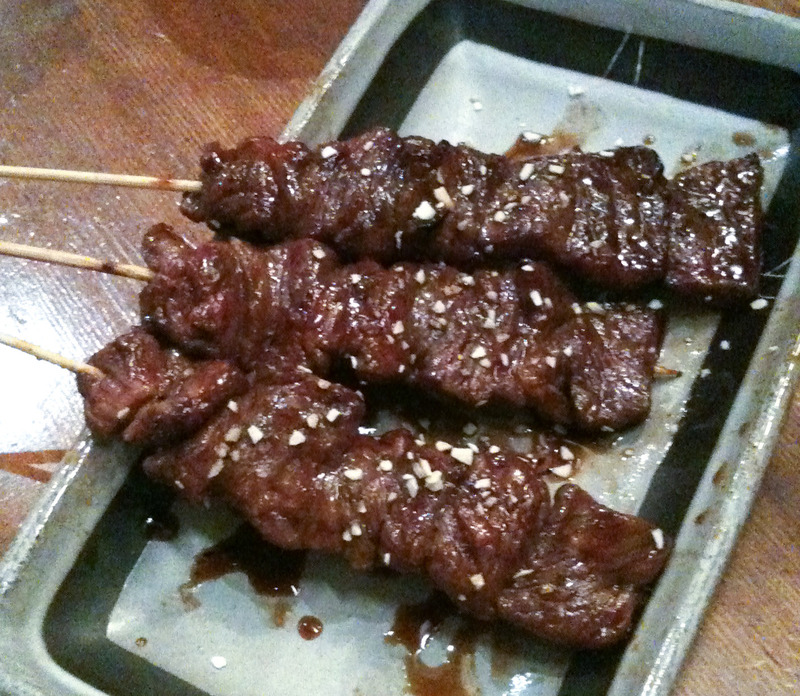 My favorite dish at the restaurant happens to not be skewered, but deep-fried. 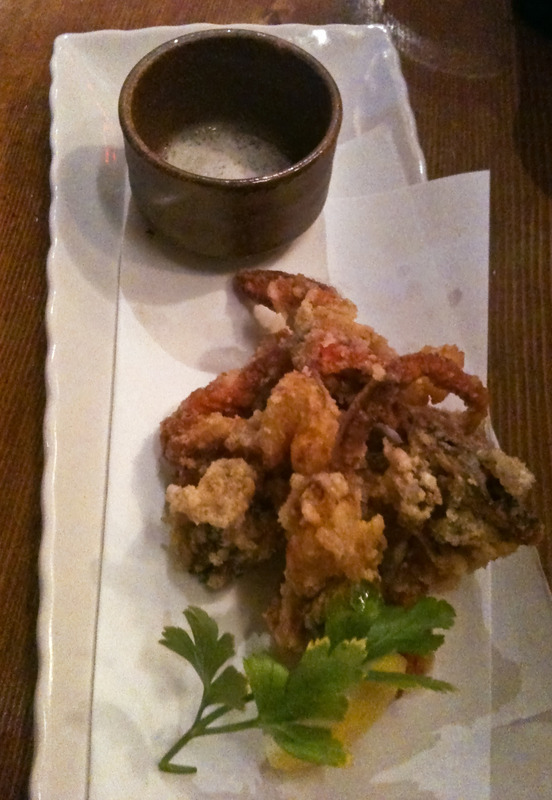 The soft-shell crab, which always comes out quite quickly, is amazing. Delicately fried, the pieces that are more body than leg are my favorite. These wonderful legs need to be eaten quickly because they're best piping hot. 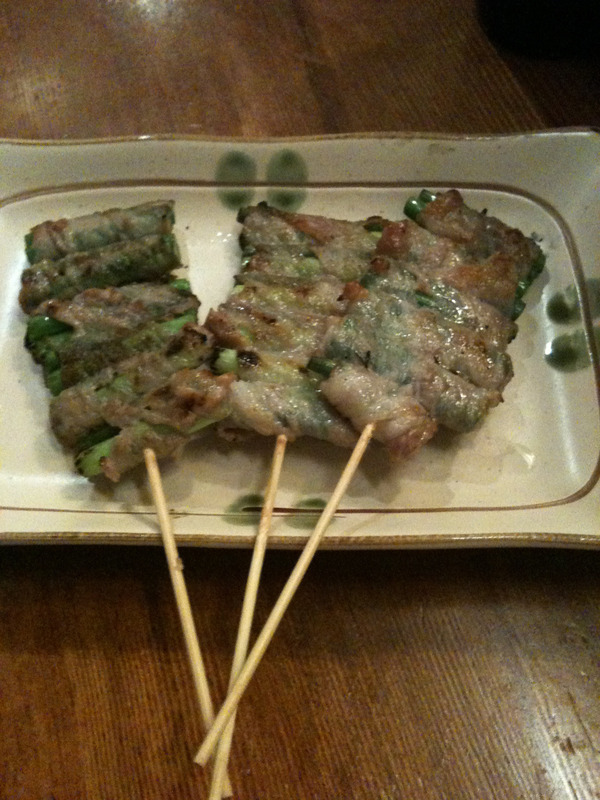 The Me Maki are green and garlicky stubs wrapped in pork. I love it for its flavour and appreciate it because it's a vegetable. It may be a stretch, but you don't go to Zakkushi to get your greens. 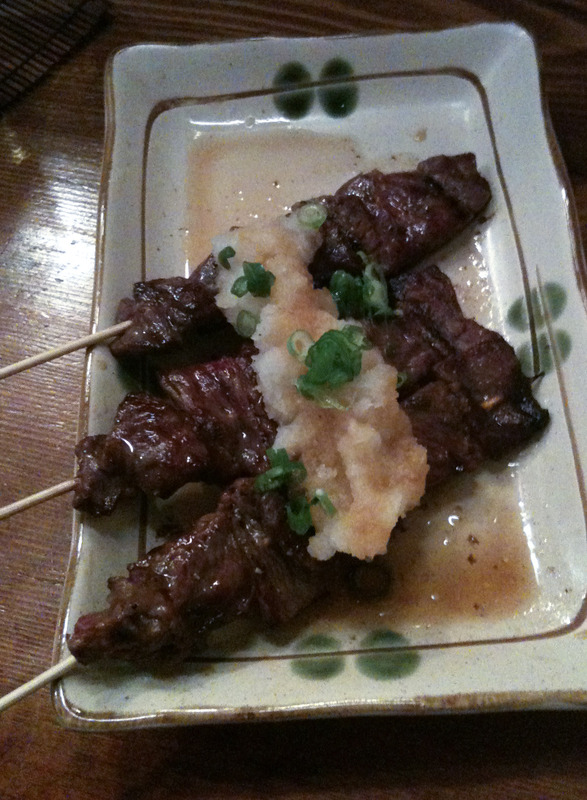 Oropon Beef with daikon (Japanese radish) and ponzu, (a soy/citrus sauce). 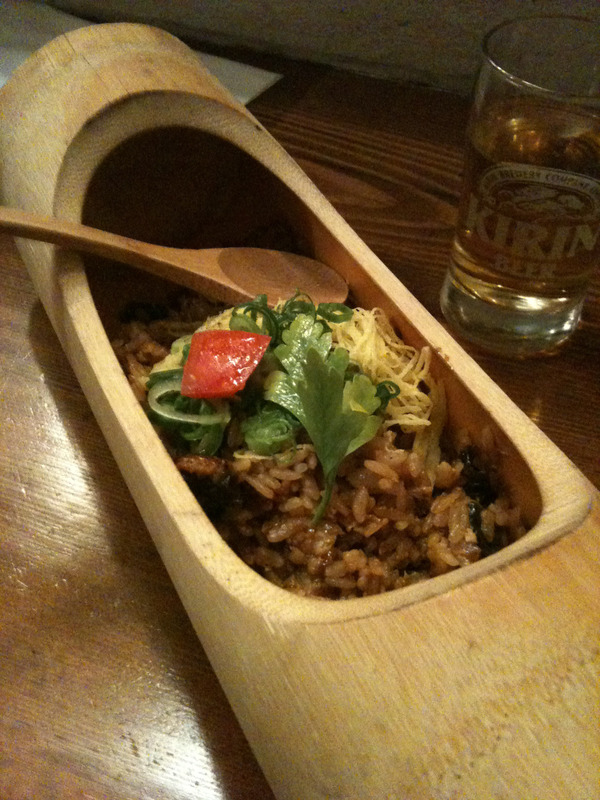 For our carbs, we always get the Una-tama fried rice which consists of tamago, (thin crepe of egg), unagi, (eel) and sweet unagi sauce mixed-in with fried rice. The rice, (or filler as it's known in Asian cuisine) shouldn't be delivered until the end of the meal but I was happy to get it early because I was starving and the food wasn't coming out fast enough. 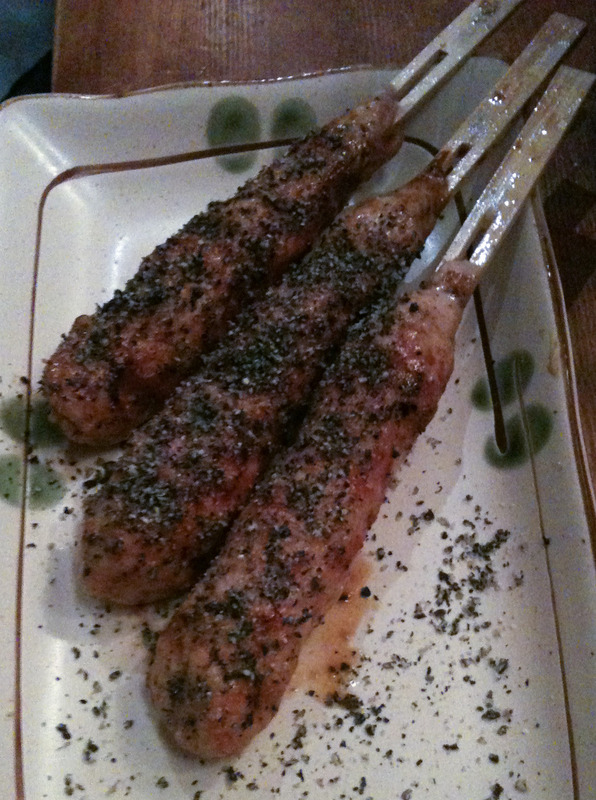 The tsukune, (chicken meatball) with black sesame and salt. P-toro - Simple salty, crunchy and juices nuggets of pork. Cant get better than that! 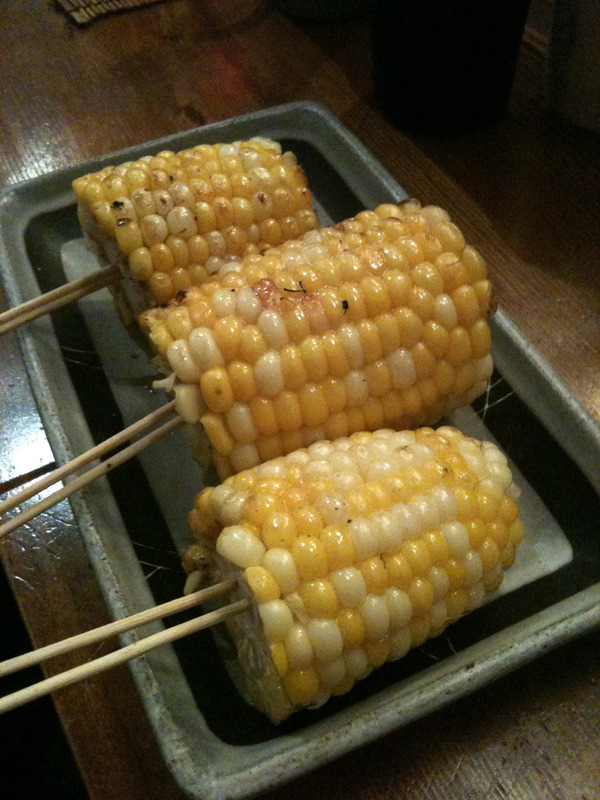 Japanese grilled corn reminds me of summer festivals in Japan so I can't resist ordering this buttery/soy sauce goodness on a stick. This is the only other appearance of a vegetable in this meal. 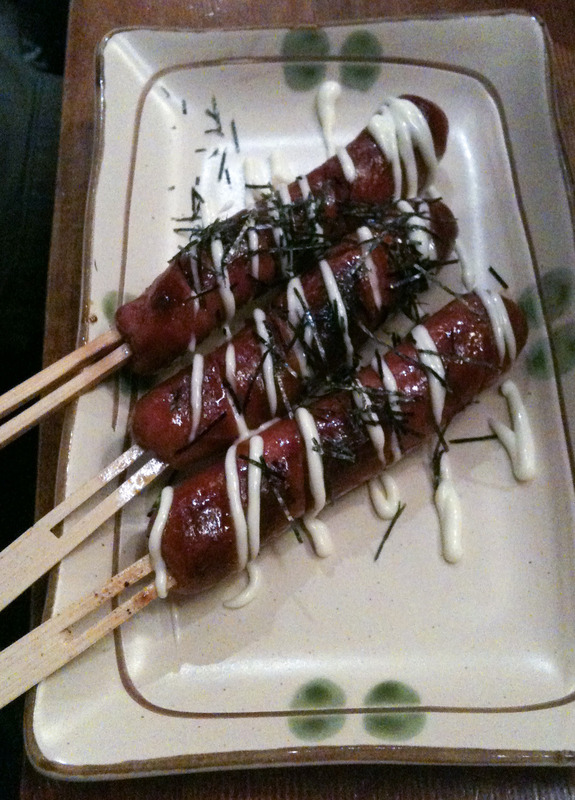 The perfect Japadog- a kurobuta pork weiner with Japanese mayo, nori minus the bun. G-beef with teriyaki sauce and garlic tips. This was cooked perfectly medium rare. Are we almost done yet? 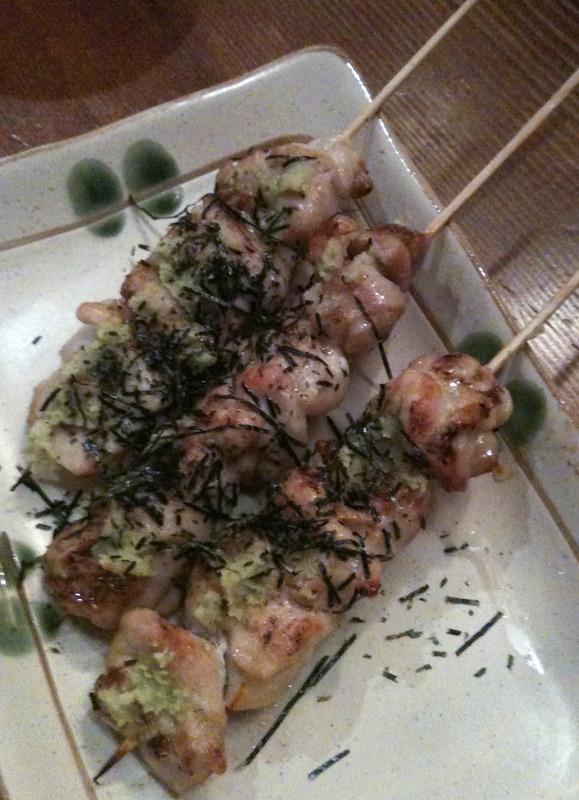 Another tsukune, this one was nori-mayo. I usually get the one with shiso and ume (sour plum) but my brother doesn't like ume. I don't think I've ever ordered the Chicken Wasabi yaki before. I liked it, but by this point was so full I was just going through the motions. 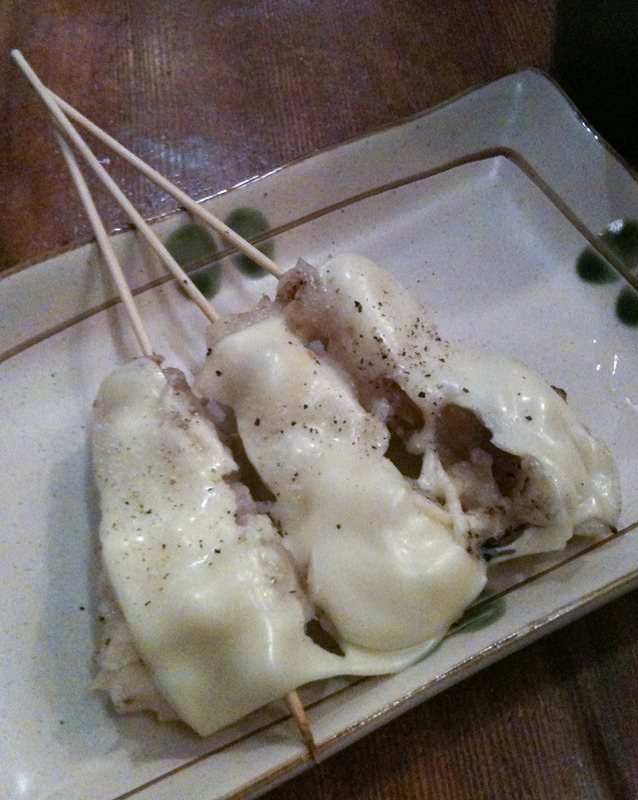 The Cheese Mochi maki - sticky rice wrapped in pork and topped with cheese, was our dessert. I think I like this one without the cheese better. We ate all this food plus we shared a couple of big beers in little glasses. This is the perfect after-hockey meal though and completely worth the over-indulgence. hmm, not only is this making me hungry but it’s also giving me some ideas for the next tailgate party!! Oooooh, tailgating with sticks of meat. Sounds good! When? When? When?